The Fusion is the perfect combination of the features/benefits of the Aerohead and the Deep V. Light like the Aerohead, strong and durable like the Deep V, but with less weight. The perfect balance of weight and strength. The Major Tom brings together everything you have been looking for when taking that next step in the cyclocross circuit. 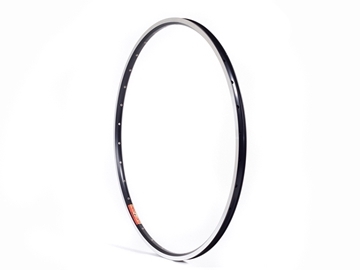 Blending qualities from our popular A23 clincher and Escape tubular rims, the 23mm wide Major Tom provides improved traction for unparalleled ground control. Designed with an 11mm braking surface for precise handling and braking, along with our seam relief channel which allows for consistent and reliable tubular tire installation. The Quill is Velocity's most innovative road rim to date. 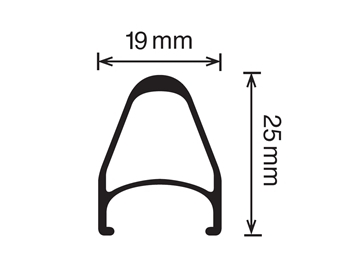 Utilizing design technology from their Aileron disc rim, they have evolved their most successful and proven A23 road rim and developed the Quill to be, stiffer, and wider than its predecessor. 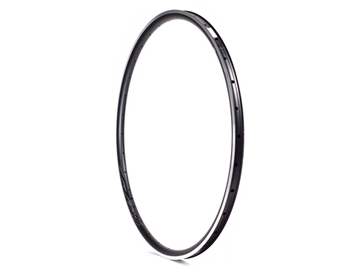 The Quill rim is 17.2% wider internally, 26.2% laterally stiffer, and 99.3% radially stiffer than the A23. Featuring an outer width of 24.5mm and an internal width of 21.1mm, the Quill’s voluminous width provides riders with substantial lateral stiffness even in lower spoke counts and increased ride quality and control. The 25.5mm depth, provides an aero profile giving it significant performance and durability gains over previous rim brake models. The Quill can easily be set up tubeless with the use of 21mm wide Velotape. Veloplugs are not recommended on Quill rims. If its city riding, country touring, or everything in between the Synergy wheel set is the way to roll. 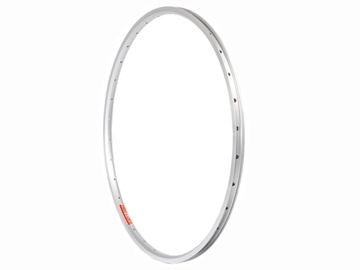 At 23mm wide, with eyelets and a low profile, it’s the perfect rim for all those times you want to use a little wider tire. Use it for your 29’er or your commuter. The possibilities are endless. Tire mounting is easier with the Veloplug. Rim strips take up a lot of space making tires more difficult to mount. 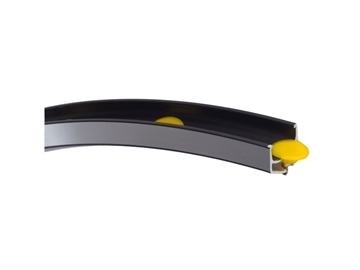 With the sleek and slippery Veloplug, a difficult to mount tire becomes easy. Veloplugs will not rot, slip around or retain water when moisture enters the rim. 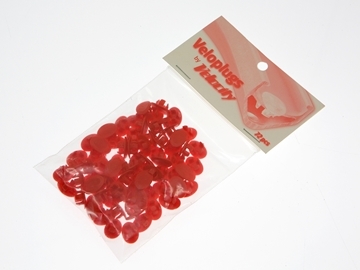 Red plugs fit non-eyeleted Velocity rims (A23 & A23 OC rims do not accept Veloplugs). Yellow plugs fit eyeleted Velocity rims. 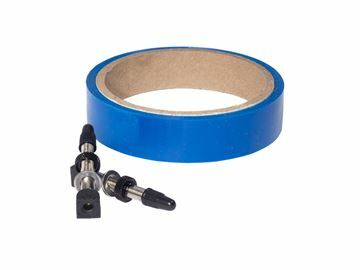 Velotape is an excellent, lightweight solution for a tubeless rim strip. Comes in two different sizes: 21mm and 24mm. 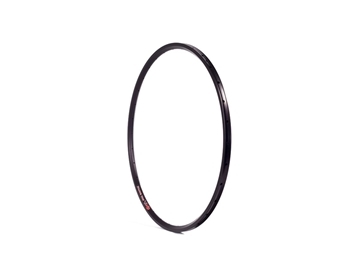 21mm Velotape is designed to fit and convert our Velocity A23 or any 21mm wider rim for a tubeless application. Each roll is 10m long X 21mm wide, allowing for two 700c wheels to be wrapped properly for a successful tubeless set-up. 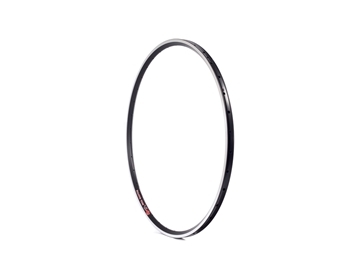 24mm Velotape is designed to fit and convert our Velocity Blunt 35 rim for a tubeless application. Each roll is 10m long X 24mm wide, allowing for two 29" wheels to be wrapped properly for a successful tubeless set-up.